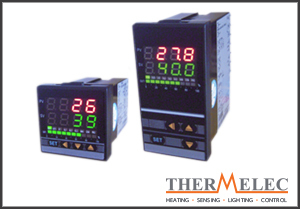 We offer a range of Maxwell digital temperature controllers here at Thermelec. The Maxwell range offer a selectable input of TC, RTD and analogue and an output of either relay, SSR drive or 4-20mA. Each controller comes with super large and bright LED displays and a high measuring accuracy (0.2% F.S), dual line 4 digits display and each are integrated with an alarm standby function. 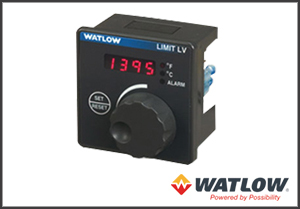 The SYROS series temperature controllers are the ultimate instruments for the regulation of temperature in applications where stability is critical. These controllers improve the control loop behaviour through the incorporation of algorithms, and thanks to a number of available functions and their interconnection possibilities, are seen to be a universal apparatus for the control and regulation of temperature. Temperature and process controllers are used over a vast range of industrial, scientific and commercial applications. 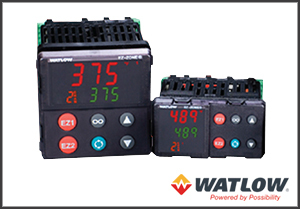 These controllers automatically adjust outputs based on sensor feedback working in concert to control process variables such as temperature, flow, pressure and relative humidity, as well as, to achieve an optimized and stable process. 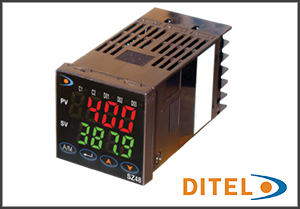 Limits monitor systems and respond to over- or under-temperature conditions. Agency approved limits provide safety assurance and protect people and property by shutting off power in the event a limit is tripped or exceeded. 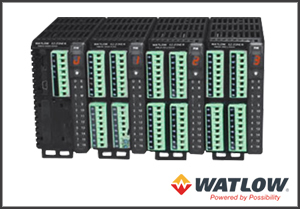 Integrated multi-function controllers are a new class of instruments that combine temperature, process and machine control, over- and under-temperature limit protection, high amperage power switching, safety disconnect and field communications into a single package. A variety of modular form factors and display types provide the convenience and reliability of utilizing a single component in place of several.